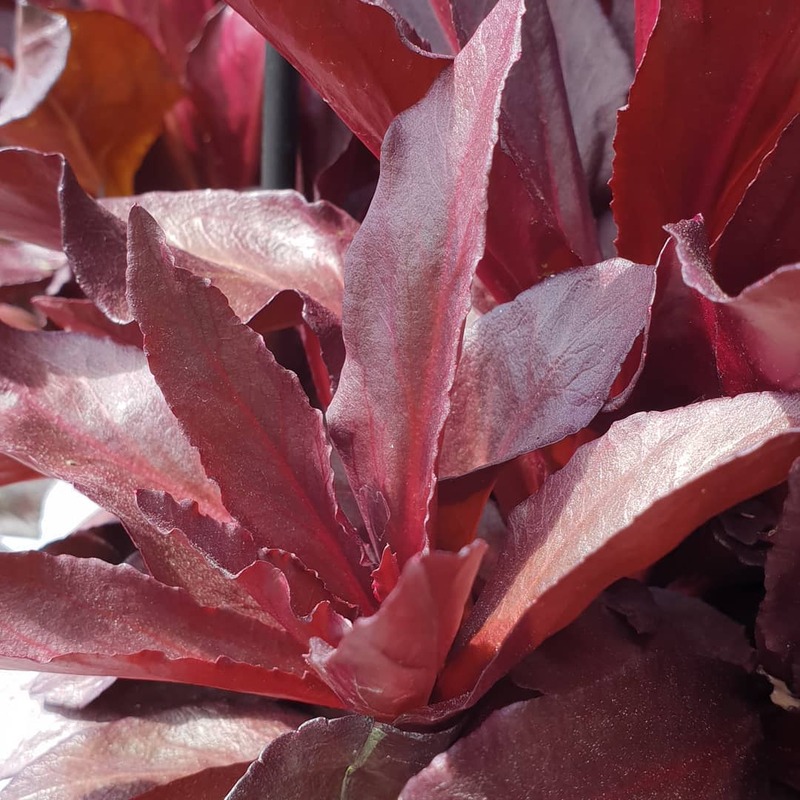 Attractive dark beet-red foliage with a clumping habit and upright spikes of large, scarlet-red flowers. Flowering from mid-summer through to autumn. Hardy. Attracts bees. Tolerates both soggy and dry soils. Great for borders, gardens, mass planting and cut flowers. Height to 90cm and width to 45cm. Winter dormant. Prune after flowering. CAUTION: Harmful if eaten.